Busan, South Korea is home to towering peaks, endless sandy beaches and a fascinating history. Busan Travel Video – Amazing itinerary ideas for planning a trip. Opens in a new window. 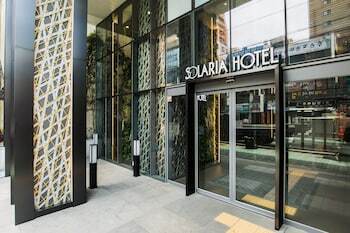 Where to find Busan hotels near an airport? 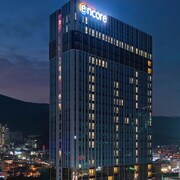 How can I find hotels in different Busan neighborhoods? 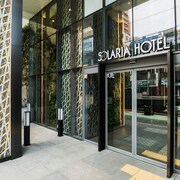 Where can I find hotels in Busan that are near tourist attractions? When planning your South Korea sojourn, you can rest assured because there is no end of great hotel and apartment options in Busan. Our accommodation section features 186 places to base yourself within 0.1 kilometres (0.06 miles) of Busan's center. 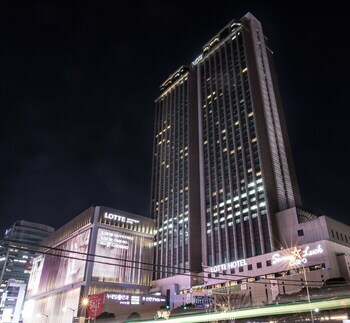 Experienced travelers who fully appreciate the importance of booking a hotel close to the action should check out the Lotte Hotel Busan and Hotel Yaja Seomyeon Lotte, which are located within 1 kilometre (0.6 miles) of Busan's center. Busan City Centre, 0.9 kilometres (0.6 miles) from the middle of Busan, is a popular accommodation area with 52 hotels that can be booked through Expedia. 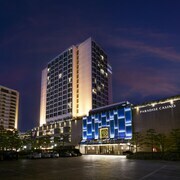 Some examples of hotels in Busan City Centre include the ibis Ambassador Busan City Centre and La Mer Hotel. 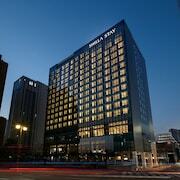 Another popular hotel district is Jung District , approximately 5 kilometres (3 miles) from the center of Busan. 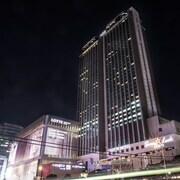 Some of the more popular Jung District accommodations include the Toyoko Inn Busan Station1 and Hotel Foret Busan Station. Another place you could stay is Dongnae District. 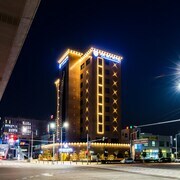 Dongnae District offers the Hotel Nongshim and Hotel Yaja Oncheon. 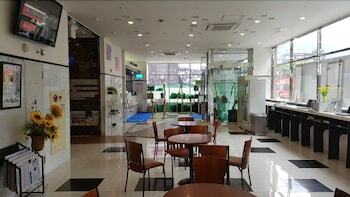 Or, try Choryang, where you'll find the My Hostel Busan York and Hotel Coco. The Toyoko Inn Busan Seo-myeon and You Are In are situated in Seomyeon Medical Street, and Hotel Platinum and The Last Hotel are part of the Gwangbok-Dong area. Families, students and those keeping an eye on their dollars can choose from nice Busan accommodation options that won't blow holes in their wallets. 0.3 kilometres (0.2 miles) from Busan's downtown area you'll find the Hotel Yaja Seomyeon Lotte. The Busan Tourist Hotel is only 6 kilometres (4 miles) away. Two more options at the lower end of the spectrum in Busan are the Tower Hill Hotel and the ForU Hotel. 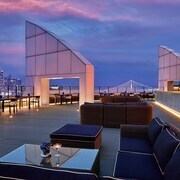 You could check out the Park Hyatt Busan and the Paradise Hotel Busan. The Park Hyatt Busan is situated 8 kilometres (5 miles) away from the middle of Busan. The Paradise Hotel Busan, is positioned 10 kilometres (6 miles) away. The The Westin Chosun Busan and also the Pale de CZ are two other accommodation options worth checking out around Busan. Oncheonjang is 10 kilometres (6 miles) to the north of Busan and is home to the Geumjeong Mountain and Busan University of Foreign Studies. Should you wish to spend a few nights in Oncheonjang, be sure to check out the Dongbang Tourist Hotel and Love In Busan Guesthouse. 9 kilometres (6 miles) to the south of Busan, you may also choose to stay at Yeongdo, which is home to the Commodore Hotel Busan and Hotel Yaja Nampo Lotte. If you're staying in Yeongdo, set aside a little time to visit the Yeongdodaegyo Bridge and 75 Square. Gimhae Airport is 10 kilometres (6 miles) away from Busan. Visitors who wish to stay nearby, you can book a night at the Hotel Paragon or Hotel The May. What are the most popular Busan hotels? Are there hotels in other cities near Busan? What other types of accommodations are available in Busan? Explore Busan with Expedia.ca’s Travel Guides to find the best flights, cars, holiday packages and more!